Scanning business documents, such as contracts and proposals, and emailing them to clients can reduce your paper costs and long distance fax charges. 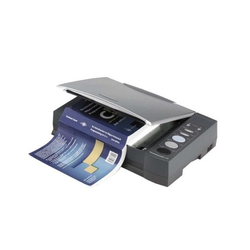 Whether you own a stand-alone scanner or All-in-One printer, the process of converting adocument into electronic format is similar for many scanning devices. Our non-destructive scanning process converts virtually any size book or register to any file format, including searchable PDF, E-Book. SPGS(India) has years of expertise in the extraction and Indexing of the old documents. Majority of the team members have, several years of industry experience. We have successfully delivered several projects to our international clients. We scan documents in varied sizes with speed, regardless of the quantities offered. Our scanning techniques are known to deliver lucid images of the highest resolution. Scanned images are stored and converted into any file format, which is suitable to your needs & document management systems. We also reduce the size of the images using optimization tools to help you to host on the web. We convert paper documents into dimensionally accurate Auto Cad files. Scanned drawings, blueprints and pdf files are manually traced by trained auto cad drafters, and checked continually by architects for accuracy and completeness. Everything starts to deteriorate over time… including your analog images. Film is a precious commodity and, unfortunately, once an image has fully deteriorated, it is gone forever. Does your organization want to convert large amount of data into digital formats If you are looking for document digitizing at a cost-effective price. Then you have come to the right place.Expert document digitizing services can efficiently meet your needs. From scanning and OCR we have clients who require us to retype in hand written records and depending on the type of content we achieved entry speeds that have been appreciated by our clients. Crown records management provide document scanning service. We scan bulk quantity document and makes them instantly available. 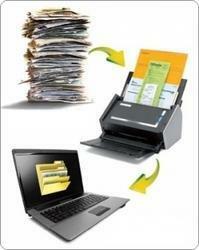 Digitize your hard copy documents by scanning them to soft copies. We convert documents into the digital format of your choice. Organizations in today´s digital world prefer digitizing critical documents to streamline and control their critical information. This saves the tiresome work of storing large volumes of paper documents since it is difficult to preserve, update and access. Digitization helps in enhanced productivity and increased profits. This process makes information available electronically in a secure environment, allowing for faster and more accurate decisions to be made. Book scanning is the process of converting physical books into digital images or electronic books (e-books) via image scanning. This is a much less time-intensive method than re-typing all of the text; before scanning became feasible, re-typing was generally the only option. GCS is the leading Document Scanning and Indexing Service provider in India. We provide Best Practice Outsourcing Services for Document Scanning, enabling your organization to successfully unlock the true value of the information contained in its files, resulting in increased productivity, performance and profits.